Must a baby's hair be shaved before 1 year? Are there implications? Emekah it is not in our place to play judge, but let me assume the role. 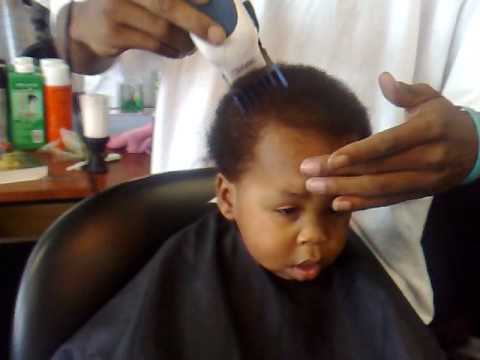 Firstly, there is no law for or against the shaving of hairs of children at a tender age (before age 1) , but it's just fair that we reduce the amount of "stress" the baby goes through by doing so, with a view of having water access his scalp et al. Secondly, there is no need to do so, my position is strengthened by the fact that, barbing at an early stage, exposes the child to risks of cuts during the act. It's not a must to shave a a baby's hair at one year. Such customs can only be practicable if and only if the baby's hair has some kind of issues; when a part of the hair grows leaving the rest bald or some sort of it. Here, you shave the hair or trim it to a certain level. But when a child's hair is free; full and healthy so to say. There's no need using a blade on it.